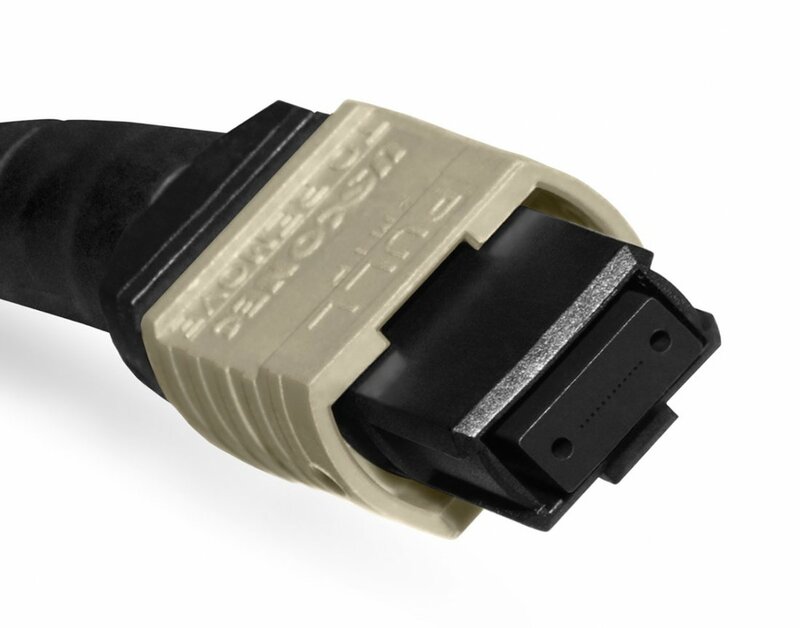 12 fiber MTP®/MPO Breakout Cable: OM3 MPO to 12xLC Simplex fiber breakout assembly. Plenum OFNP, female MPO/MTP multi-fiber, high density, connector (no pins) distributes to 12 LC connectors, each with 2.0mm aqua jacket. 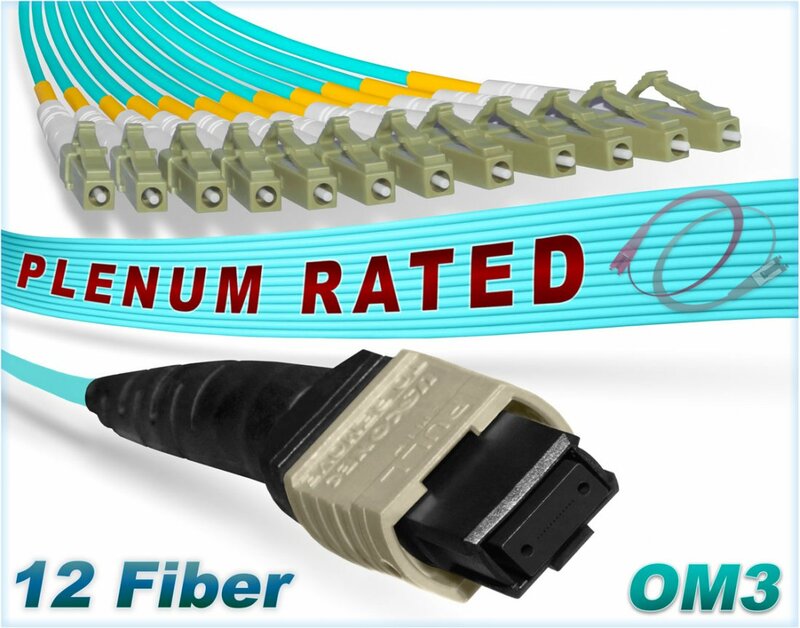 Fiber optic connectors pre-terminated to 12 Corning OM3 50/125, Laser-Optimized Multimode Fiber (LOMMF), 10Gb Rated, Cores. Connector 2 12 LC Simplex, 1.25mm form factor, ceramic ferrule, connectors. Length Options 1 Meter, 2 Meter, 3 Meter, 4 Meter, 5 Meter, 10 Meter and 15 Meter. 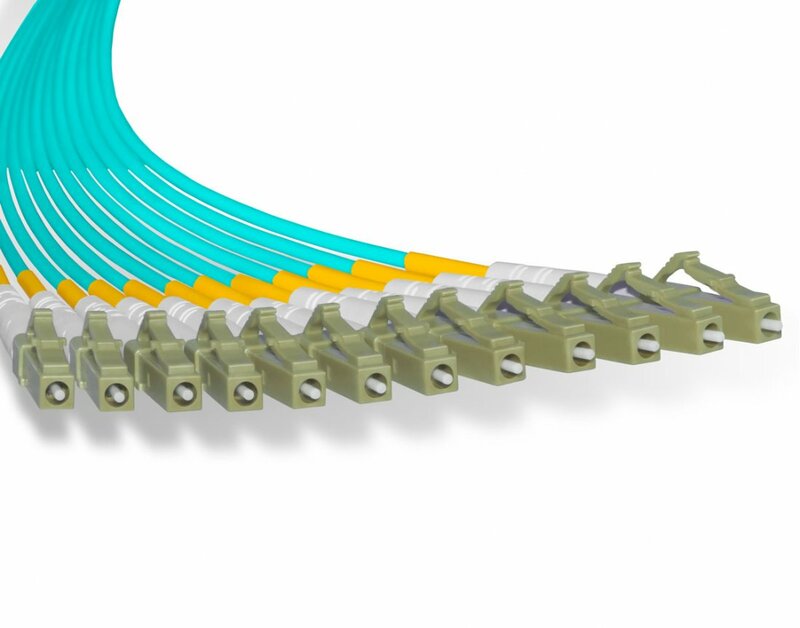 12 individual LC Simplex connectors is the equivalent of 6 Duplex fiber connectors. 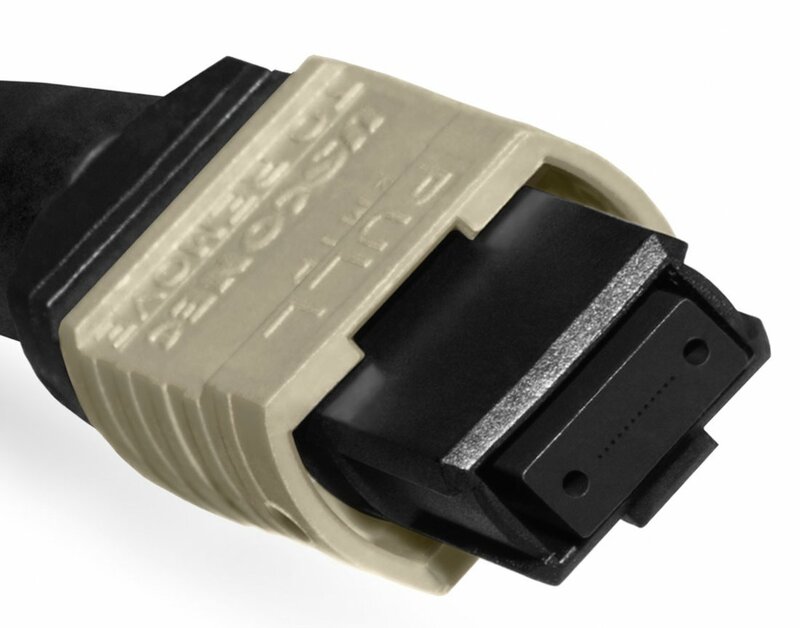 A MPO/MTP multi-fiber connector has 12 x 50/125 fiber cores that breakout into 12 individual simplex fiber patch cords at the other end of the 12 fiber distribution assembly. 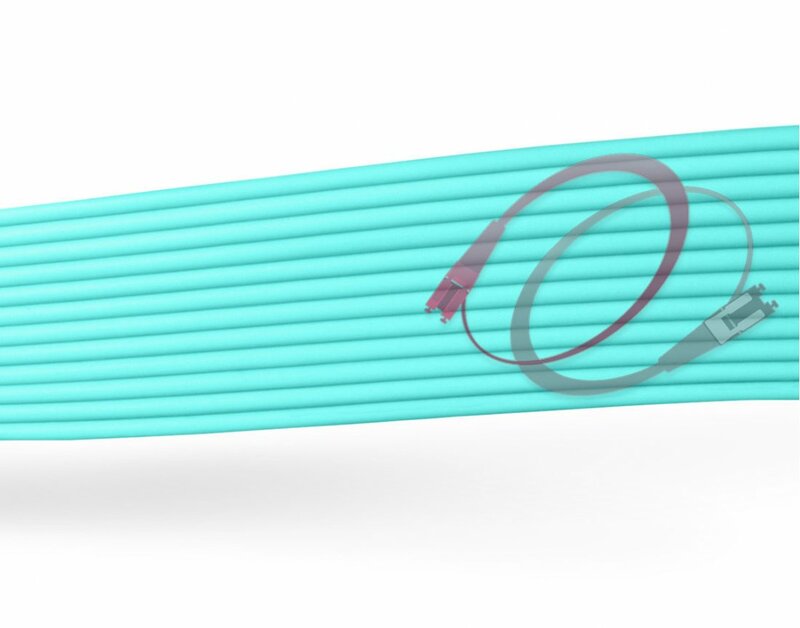 Each aqua, 18 inch, Simplex breakout cord has a 2.0mm outer diameter plenum rated jacket that is UV resistant, water resistant, flame retardant and free from electromagnetic interference. - 1Gb up to 550m (1000Base-SX) - Requires mode-conditioning patch cord. Applications: Gigabit Ethernet, Fast Ethernet, 100 Gigabit Ethernet, SFP+, QSFP+, Fiber Channel, OIF, VCSELs, etc. Warranty: This MTP/MPO to 12xLC breakout cable comes with a Lifetime warranty.